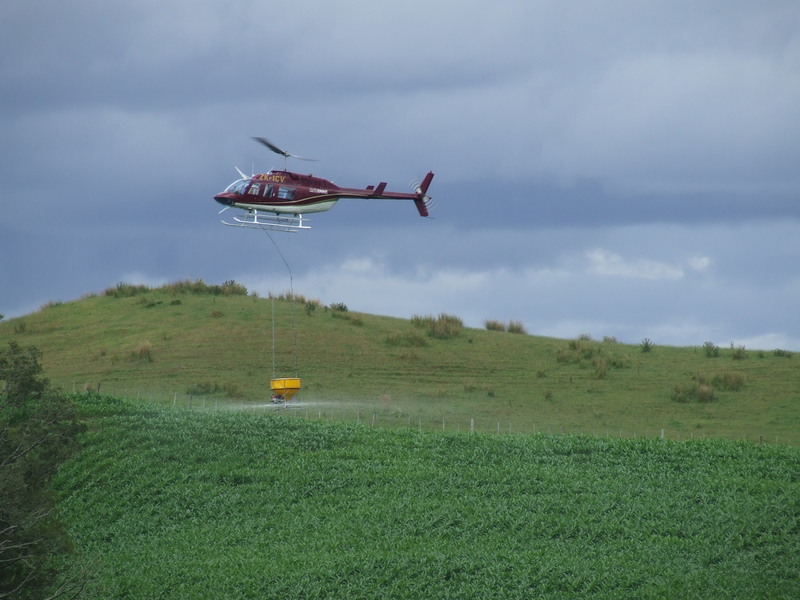 The greatest advantage of using a helicopter to apply your fertilizer is the accuracy. By taking full advantage of the slower application speed, our pilots can accurately apply your fertilizer to the target area. Also, using a helicopter is often more cost effective that you may have been led to believe. Contact us today for a quote. No Airstrip? No problem. We are able to operate off a smaller area than you may think, including races, gateways, tanker loops, and even suitable paddocks. Our fertilizer loading system is so versatile that we can load in a number of configurations. Weather its using Bags with a Tractor, Fertilizer Bin with a Front-end Loader, or carted direct from the supplier in Bulk, we can operate to suit your needs. 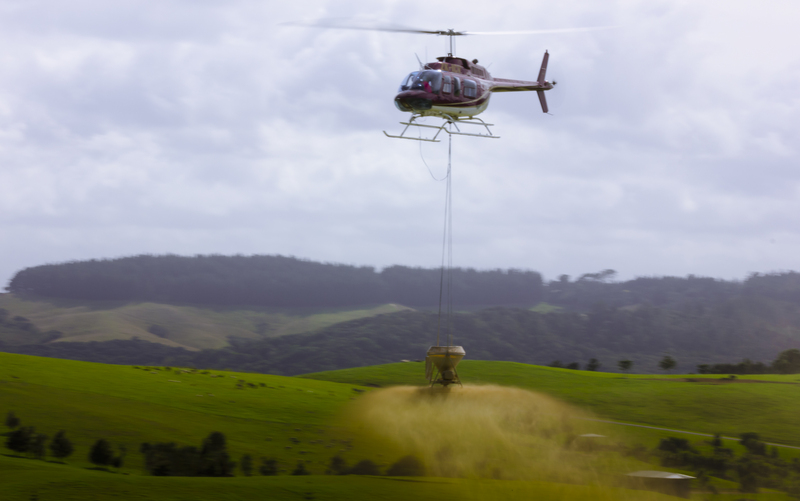 Twincoast Helicopters can offer a variety of fertilizer application methods to suit your specific needs. We can apply Solid fertilizer, Liquid fertilizer and Seed to your crops or pasture. We are able to accuratly vary the application rate to suit your needs. We are one of the few operators in Northland to offer the latest in Fine Particle application technology. All Fertilizer operations are undertaken using Tracmap DGPS Guidance System, for accuracy within 1 meter. This equipment allows us to accurately apply product at the required rate, ensuring the best result every time.